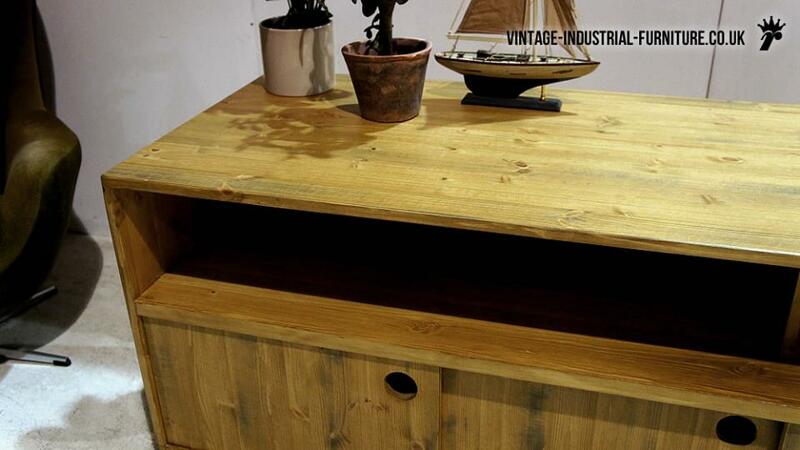 Our large vintage industrial sideboard boasts lots of character. 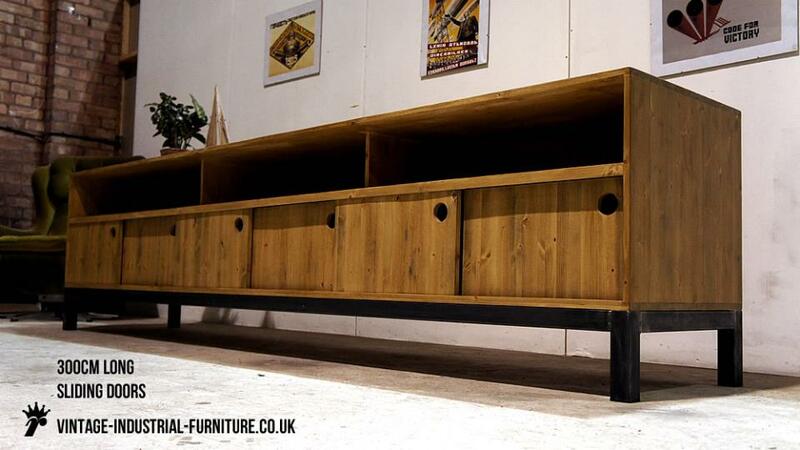 The solid wood structure (available in other stains) will offer years of hard-wearing service. Supporting this is a 50mm square welded steel box section frame. The legs are terminated in flooring-friendly pads. Sliding doors and huge storage capacity make this large vintage industrial sideboard a must-have for contemporary offices. This piece alone, when well-positioned, would bring a dull office space bang up-to-date. As well as the earthy wood and metal feel, the unit has quite crisp styling with rather fun holes for door handles. 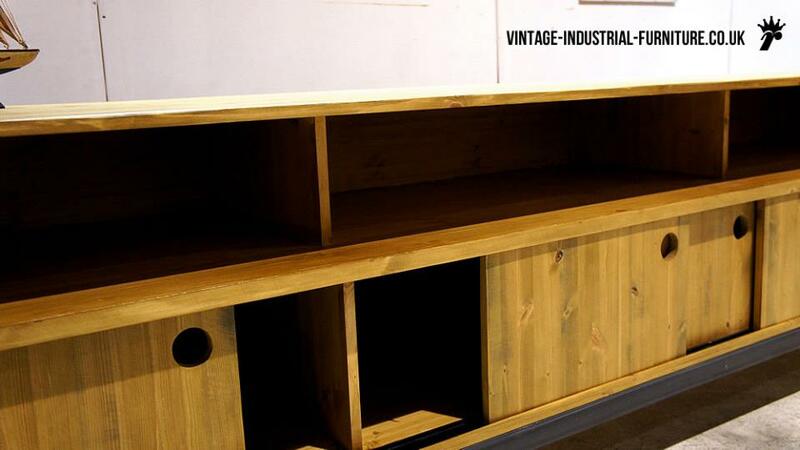 This feature adds to the already quirky nature of our large vintage industrial sideboard. 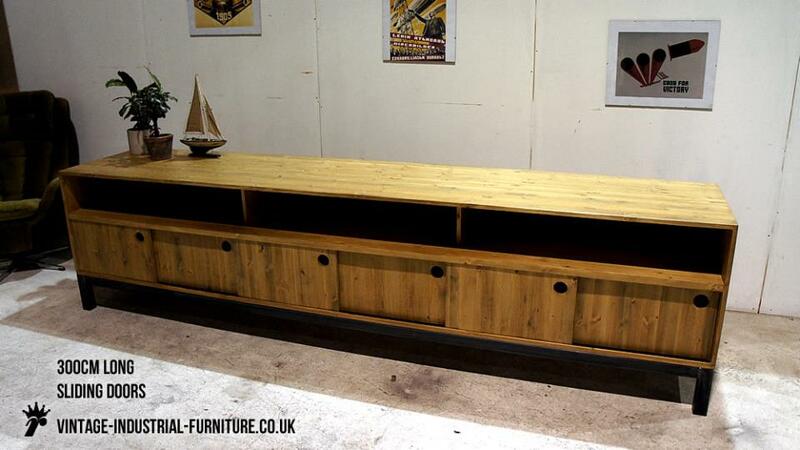 The unit is available as 150cm or 300cm long but we can produce bespoke sizes for your space.